This feature is disabled, as customer chat supports safari 12 browser. 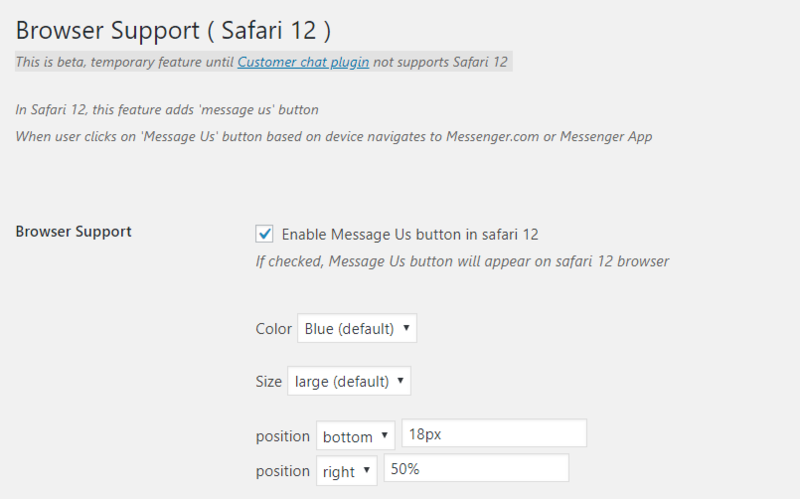 Customer Chat plugin - Support for Safari 12 has been temporarily disabled. Demo – At this page bottom right corner, “Message Us” button. ( Similar “message Us” will appear on Safari 12 ). Can change the “Message Us” button position to any place on the screen. If Enabled (checked) then “Message Us” button will appear on Safari 12. This feature will be removed, when customer chat plugin supports Safari 12.